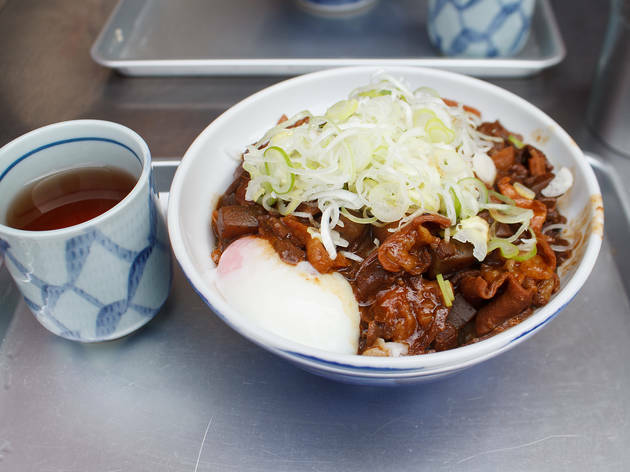 A true Tsukiji classic, this purveyor of meat over rice keeps things simple. 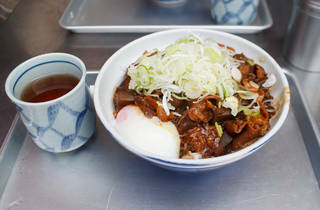 There are only five counter seats and space for perhaps 20 standing patrons, and practically every customer orders the same thing: the Horumon-don (¥850), a hearty combo of rice, leek and organ meats flavoured with a rich, miso-based sauce. Order an extra soft-boiled egg (¥50) to recreate the traditional power meal that's kept locals on their feet through thick and thin since 1947.